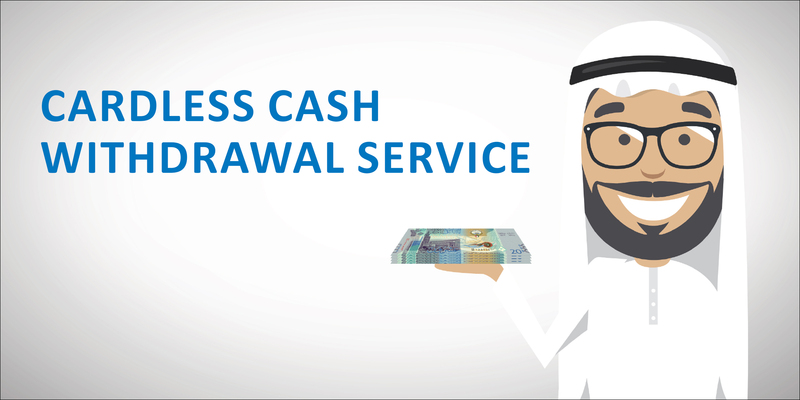 Cardless Cash Withdrawal | Services | Al Ahli Bank of Kuwait K.S.C.P. Have you forgotten your card? If so, no need to worry with Cardless Cash, a simple, safe and convenient solution! Service is ideal for cases where you have misplaced, lost or forgotten to carry your physical card. Additionally, this service gives you the ability to extend cash withdrawal services to a beneficiary of your choice, where a person of your choice can withdraw cash on your behalf without having to use your card.